Local artist Paula Amerine’s work is on display! We’re lucky to have the opportunity to showcase Paula Amerine’s captivating images of Meyer lemons, carrots and Bing cherries in our pie shop. Many of the Placer County artist’s paintings focus on colorful agricultural products, and Paula works closely with local farmers to ensure she is creating engaging likenesses of her fruit and vegetable subjects. 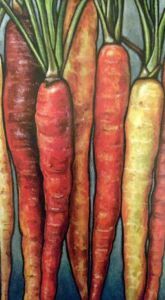 Paula is the illustrator of The Art of Real Food, a fabulous resource for anyone interested in enjoying, and cooking with fresh local ingredients; and her current mediums are oil, acrylics and mixed media. Paula has exhibited her paintings in the KVIE Art Auction, the Crocker Art Auction, Sacramento’s Sparrow Gallery and the California Agriculture Museum. 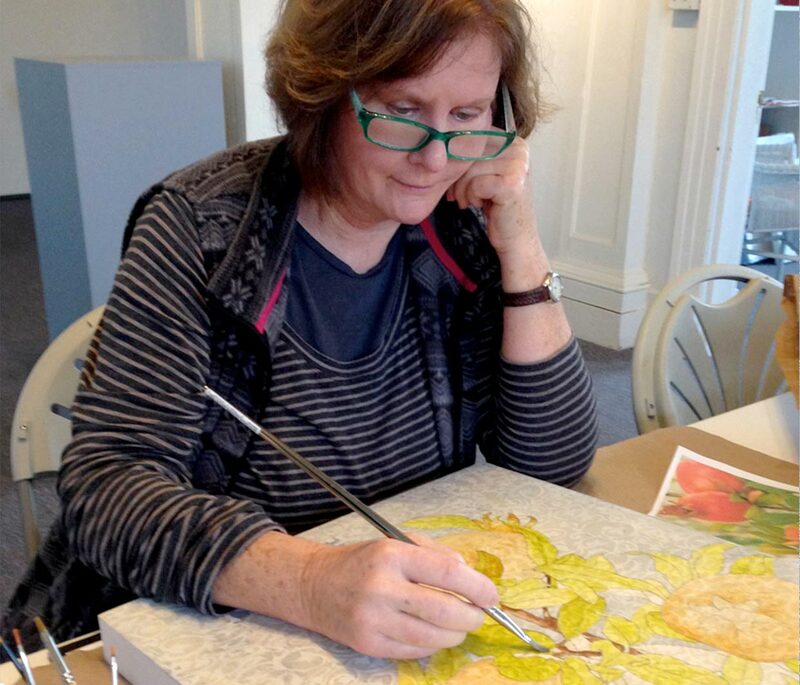 Visitors are welcome to visit her studio located in the historic Carnegie Library in Auburn. To check out more of her work, visit www.amerineartworks.com.